Greyhawkery: What's Up At Wizards? OGL: If 5th Edition gets an "Open Game License" this will spur more creativity from the gaming community and third party publishers. 4E didn't have one and look how long that lasted. 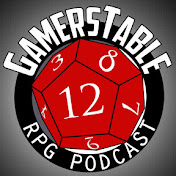 Pathfinder RPG and a few other notable games however, are the legacy of 3E and the OGL. I'm optimistic about this one. "There has been discussion about the overall "brand" strategy for D&D, which Perkins commented on. He mentioned that "...people at Hasbro that never cared about D&D before, care about it now; Hollywood is fighting over it" and assured folks present that "the role playing game is the heart of D&D, just like comics are for Marvel". He did note that "D&D has world wide cultural penetration, though Forgotten Realms does not." Hasbro has done very well with properties like GI Joe, Transformers and uh, My Little Pony, so it's only a matter of time before those are played out and they put their corporate muscle behind D&D. I'm not expecting Greyhawk anything, but who knows? Also, perhaps this branding talk is what's holding up OGL talk? No Print Dragon/Dungeon Magazines: This always tugs at my heart strings and I'm fine with letting it go. This article pretty much puts that question to bed. I tried their D&D Insider subscription all through 4th Edition (they made it lapse this month) and their production value was top notch in my opinion. It's still the best venue for aspiring D&D authors to try and break into the industry. Two "Stories" A Year: Wizards has a new model which focuses all attention on a smaller less system bloating stories, basically two each year. I see the less is more approach as a positive. My own experience playing in the Tyranny of Dragons storyline has been quite good despite being an old Greyhawk grognard. The fact Wizards is trimming down their release schedule however, means their story lineup is already planned through 2018, That is some crazy Marvel Studios type preplanning. Morrus writes: "So, this'll happen a couple of times a year. Tyranny of Dragons now, Elemental Evil in March, and presumably something new in Fall 2015. Mearls mentioned in his Reddit AMA that Planescape and Eberron were both "on the radar", Spelljammer "isn't at the front of the line, but it is in line", and that for Forgotten Realms they "want to provide a broad update on the Realms, but nothing to report yet". The storyline/sourcebook model seems like a great way to re-introduce settings, though - especially those with strong flavours."